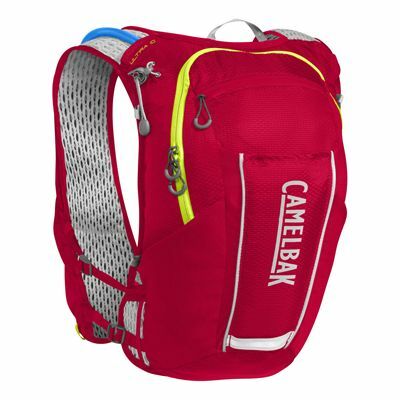 Designed to withstand the world’s toughest trail races such as the Ultra Trail du Mont Blanc, the Camelbak Ultra 10 hydration running vest is lightweight, durable and made using 3D vent poly mesh for multidirectional air flow. It comes with a 2L (67.6oz) CRUX™ reservoir ensuring 20% more water per sip and easier refilling thanks to an ergonomic handle. A customised, stable fit is provided by dual adjustable sternum straps and the vest has cargo compression, an expandable cargo compartment, harness storage with Quick Stow flask pockets, a sweat-proof phone pocket and a stretch overflow pocket to hold everything on the UTMB packing list. Plus, there is a trekking pole attachment and the Camelbak’s most technical run vest keeps you safe in the dark with front and back reflectivity. for submitting product information about Camelbak Ultra 10 Hydration Running Vest We aim to answer all questions within 2-3 days. for submitting product information about Camelbak Ultra 10 Hydration Running Vest. We aim to answer all questions within 2-3 days. If you provided your name and email address, we will email you as soon as the answer is published. 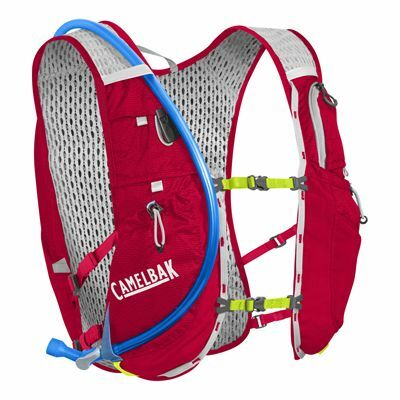 for submitting product review about Camelbak Ultra 10 Hydration Running Vest.